Secretary of State Mike Pompeo announced expanded efforts to enforce a policy barring foreign recipients of U.S. aid from promoting abortion. The U.S. is cutting off financial assistance to foreign organizations that fund groups that support abortion. The Trump administration will officially start expanding enforcement for the so-called Mexico City policy, which critics call the "global gag rule." It bars world organizations from performing or promoting abortions if they're receiving U.S. family planning program funding. The policy was first implemented during the Reagan administration , and it's been a focus of the Trump administration since 2017. Secretary of State Mike Pompeo made the announcement about its expansion on Tuesday. "We will refuse to provide assistance to foreign NGOs that give financial support to other foreign groups in the global abortion industry. We will enforce a strict prohibition on backdoor funding schemes and end runs around our policy. 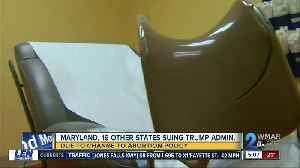 American taxpayer dollars will not be used to underwrite abortions," he said. Critics and aid groups say the move will hinder global programs that provide women's health care services such as birth control and HIV treatment in addition to abortion. But Pompeo pushed back on that argument. 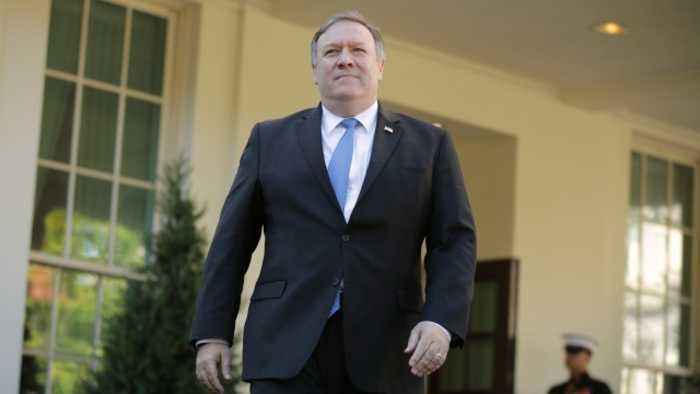 "This administration has shown we can continue to meet our critical, global health goals, including providing health care for women while refusing to subsidize the killing of unborn babies," Pompeo said. "As secretary of state, I've directed our team to take all appropriate action to implement this policy to the broadest sense possible." Pompeo also said the U.S. will reduce funding for the D.C.-based Organization of America States for allegedly promoting abortion services. Earlier this year, a group of congressional lawmakers introduced a bill that would repeal the Mexico City policy. It's likely to face hurdles in the Republican-controlled Senate. Additional reporting from Newsy affiliate CNN . Officials from the 20 states say the White House is making it harder for women to get abortions.